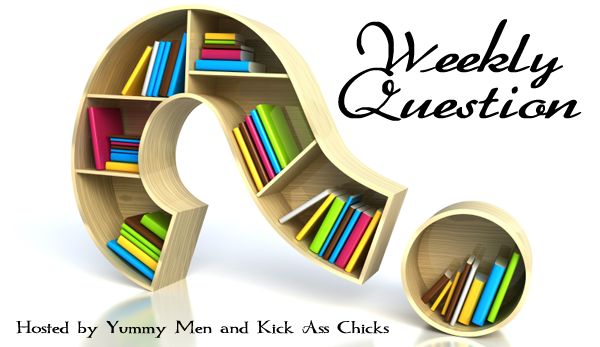 Question: What’s up with the Black Dagger Brotherhood? A good chunk of you, like me, bought THE KING the day it came out, and not necessarily because we expected awesomeness, but rather just because it’s J.R. Ward. I actually downloaded it to my Kindle at 3 AM on April 1st—not because I’m a die hard fan (well ok, I kinda am…)—but my dog woke me up, and I figured “why not?” Well, it took me five days to finish the damn thing, and for me that’s saying something. That point aside, the book prompted this week’s Question, and before you quit reading for fear of spoilers, this is just a general discussion post about the BDB; I’ll save the good stuff for when my review posts tomorrow. THE KING was a pretty tame installment in comparison to its predecessors; the action was minimal and the stakes weren’t overly high which leads me to my first question: Is it ok to have a novel here or there in a long-running series that is used as a buffer? Personally, these “filler” books never rank high on my favourites list, although I do understand the necessity of them at times. After a series has exhausted all of its main story arc options, authors are left with little choice but to create a segue to a new plot line or call it quits. All of the brothers have now had their tales told which leaves Ward with an interesting dilemma—how to make future installments feel like BDB novels without featuring these warriors as main characters? Are our expectations too high? Is it right to expect awesome-sauce-ness this late in the series? For me, it’s no and no on both fronts. There are several series out there that are way further along than BDB that are still delivering 5-star reads. Personally, I think Ward owes it to her fans to continue to put out quality books, and if she can’t, then maybe it’s time to re-evaluate her game plan. Do you like the direction the series seems to be going now? Again, I’m a resounding no on this one. I’m not a fan of the Band of Bastards nor do I enjoy the Omega and his gang. The only characters whose stories haven’t been told yet that I wouldn’t mind reading about are Trez, iAM, and Lassiter. I was actually rather happy about Ward revisiting Wrath & Beth; it’s been a looong time since they’ve been front-and-center, and I thought that seeing this couple again would help reignite the BDB spark. And, for the most part I did enjoy reconnecting with these two, I just wish that they’d been the focus. Would you like more novels about other main characters from past books? Absolutely! The cameo appearances in recent installments haven’t been enough for me, and I think they all still have plenty of story to tell. Part of my frustration from reading THE KING stemmed from the lack of updates. I jumped for joy at the first official glimpse of Qhuinn & Blay as a mated couple only to not encounter them again the entire novel. One measly mention, that’s all they got. What makes a series capable of keeping their readers engrossed and STILL wanting more?! And, does Ward and the Black Dagger Brotherhood have enough staying power? I think the author achieved that “magic recipe” in earlier installments, and I believe her capable of doing so again in the long-term; I’m just not sure whether her plan and my hopes match-up. 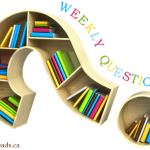 THE KING was a borderline DNF for me, and I’m not confident that the next novel will be much (if at all) better which leads me to my last question. Who is your favourite Brother? This is like asking me to pick my fav book, and could probably turn into its own discussion post, so for the sake of brevity I’ll give you three: Zsadist, Rehvenge, John Matthew. What’s up with the Black Dagger Brotherhood? That is a LOT of individual questions, LOL. I haven’t read The King yet. I started reading BDB at book 6, I think (NOT my favorite), and since then, I’ve waited for the paperbacks with the exception of book 11 which I bought release day b/c Blay & Quinn. I was kind of excited about this one b/c book 1 was my #2 NOT favorite, and I was hoping Wrath and Beth getting a second book that wasn’t a world-building, info-dump would make me like them more. But I (clearly) wasn’t excited enough to buy it on release day. I do not regret this decision. Buffer installments . . . NO. I can understand needing a less action-based installment ONCE in a GREAT while, but not on the level that this one appears to be. And I don’t think this series has that excuse yet. The main story arc hasn’t been resolved. The vampires are still a dying race, the Scribe Virgin and the Omega are still at loggerheads, etc. There are still a TON of characters that need pairing-off, so to me, this installment just comes across as lazy. Like Laurell K. Hamilton when she puts out one of those Micah-like books every few years. 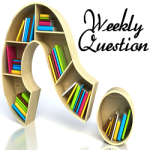 Is it ok to have a novel here or there in a long-running series that is used as a buffer? 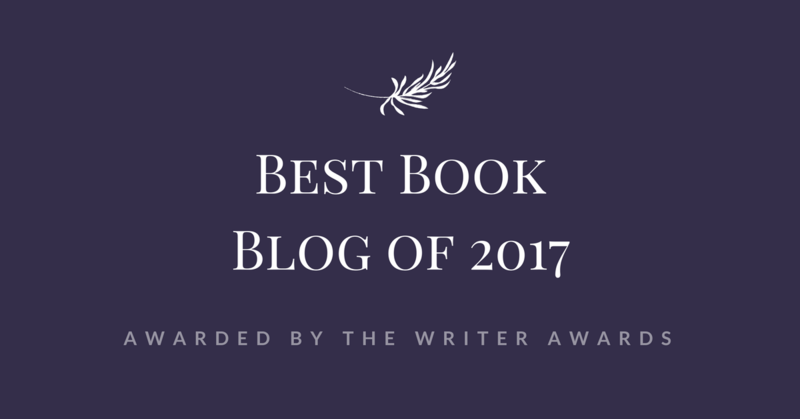 – Yes, but this book was more than a filler, it was several short stories shoved together in a chaotic mess with a great Beth/Wrath story in the mix. It would have been much better as an anthology. Are our expectations too high? Is it right to expect awesome-sauce-ness this late in the series? – No, I don’t think you should ever drop your expectations of a series just because it is long running. If you are running out of story, maybe it is time to end the series, which from heard about the Q&A in Cincy, it doesn’t seem like she is ending anytime soon. Do you like the direction the series seems to be going now? – I think this series has just about run its course. I would like to see the overall story arc wrap up. As much as I hate to see the end of a series, I hate walking away midway because I no longer enjoy even more. Would you like more novels about other main characters from past books? – I think an anthology would be great here. I love it when Kelley Armstrong puts them out and Patricia Briggs has one coming out this year. It gives a great look into “extra” parts of the world without making a “filler” book. What makes a series capable of keeping their readers engrossed and STILL wanting more?! And, does Ward and the Black Dagger Brotherhood have enough staying power? – That is a really good question. I think authors who start a series with an overall story arc that they know what the end game is going to be from day one, helps. Authors who use the “I will keep writing as long as the stories keep coming” plan seem to dwindle. I’ve always been a huge LKH fan, but that is what is happening to Anita Blake, IMO. Who is your favorite Brother? – Rhage, V or JM. 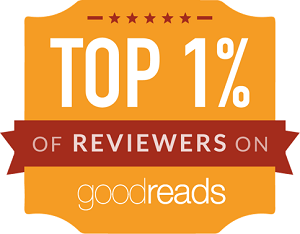 I enjoyed a little bit more than most, it was a 4 star for me, but not a 5 like most of the other books, but I’m really surprise how many bloging peeps, at least the ones I’m constant contact with, didn’t like it. I don’t see anything changing any time soon tho. Going by the ratings on amazon, the book has gotten way more 5 and 4 (667 ratings already) stars than any other lower rating, so imagine so far she’s sure she did a great job. I’m not bother by the shift in focus, it didn’t bother me when I first saw it a few books back, but what I was disappointed about was that for the first time I was reading about characters I didn’t care about, and that never happened to me in this series. I think you’re kinda biased on this one Loupe because you <3 Jim Frangione so hard. LOL But yes, I was rather surprised by all of the 4-5 star ratings it's getting too. Peeps have been voting my review as unhelpful on Amazon, cuz they don't like my 3-star rating. Meanies! Yeah, it bums me out. Those peeps are a-holes. Honestly I have never been tempted to try these I have heard way too many things about the series going down hill and turning into full blown erotica with little plot line and that just isn’t for me. It just seems crazy to me that there are people out there who haven’t read this series. Now, I understand that it isn’t for everyone, but still! Then again, that’s probably my inner fangirl talking. I’m not sure who is comparing the BDB to full blown erotica but if they are, I don’t think they haven’t actually read any erotica. I gave up after Rhev’s book, it as just, what? I really liked Rhev’s book… as you can see, he’s one of my fav brothers, but his story was definitely “different”. Oh this series. I’ve been a die hard fan for quite some time, but the past couple books have been problematic for me. I just feel like they’re getting SO long and focusing on so many different characters at once that I don’t get as fully invested in the main couple as I did early on in the series. Yeah, I hear ya. The multiple story lines is beginning to take its toll on me too. I haven’t struggling with a book in a while like I did with THE KING. It was just… too much of everything except the brothers. Great question! In fact, I like the whole discussion you have going there. I draw the line at 5 books usually, if the series keeps going longer I most often lose interest. If you’re only going to read one more book in this series it should be Rhev’s. I LOVED his story! But yeah… after that, the rest I could have done without. I am a die hard WARDen fan but with that being said after JM’s book I was disappointed. Payne and Manny’s book also, wasn’t into them AT ALL. Lover Reborn brought it ALL BACK for me. Tohr isn’t my favorite but the book was EPIC in my opinion. I think lowering my expectations may be helping me, idk. I’m about 60% into the King and it’s just okay. Too many POV changes for my liking. I am excited about Trez and iAm though, I have always been curious about those two. Z is my fave, hands down, with Wrath a close second. I don’t mind the books extending beyond the brotherhood, as long as I find the characters / plot interesting. I’m glad Trez and iAm are getting their shot – love them. I’ve loved some of the books, felt ambivalent about others, disliked a few, but I love JR’s style so I’ll keep reading. I’m definitely curious about The Shadows, but as for the other characters that she’s introduced… not so much. Guess we’ll just have to wait and see! The bromance in this series is incomparable and that’s one of the many reasons why I keep coming back. I think she should consider doing novellas so the books aren’t cluttered with secondary stories and irrelevant arcs. I love villains, without them we won’t be in need of heroes. The Omega is lame but the BoB can be a formidable for to the BDB. Villains has been one of this series’ weakness . Xcor is a curious character, he has a lot to offer and I’d like to see where Ward will take that idea. She has a habit of leaving crumbs with no follow up. Remember muhrder? Admittedly, yes there has to be a villain, but do we really need so many chapters from the Lesser POV? I can’t STAND them. Urgh! Oh yeah, Muhrder! LOL You do bring up an excellent point; where did that guy go? I haven’t read The King yet so I can judge that particular book. That being said, I love love love BDB but the last few books haven’t blown me away. I’m loyal to my boys and that’s why I keep reading but I wouldn’t mind some novellas of the main characters in between books. I feel the last couple of books have included too many side stories that veer away from the main story and couple. LAL would have been a great book if she would have focused on Qhuinn and Blay and not on the rest of the characters. I almost feel she wanted to please her publishers with that book and not give us too much of them for fear she’d lose fans (which makes no sense to me if you’re a real fan). Like Braine mentioned what I love the most is the bond and loyalty the men in this series have. While I love reading about them, I do think it might be time to end the series. I wouldn’t have been upset if she ended it with Wrath and Beth, where the story began. I’m not 100% invested in the new characters she’s introduced and think she can wrap up their stories in one book if she really wanted to. I was hoping to get Murhder’s story but don’t think that’s going to happen, same with Lassiter. I agree with you and Braine’s thoughts on adding novellas; I think this series would definitely benefit from short, more focused stories, especially after The King. You’re the second commenter today who hasn’t read any BDB books! I don’t know how you’ve managed to avoid them for so long; aren’t you the least bit curious? I loved all the books until I got to Lover Reborn and just didn’t like that romance at all. Thought about quitting the series but Lover at Last made me fall in love with the series all over again. I have always loved John Michael and his and Xhex’s romance was probably one of my favorites. Wraith is also a favorite as well as Qhuinn. I do like Z too-that’s 4 sorry! I had chosen not to read The King until later but now that I am seeing so many people say they didn’t like it, I may be rethinking that. After reading Lara Adrian’s Midnight Breed books, they took over as my favorite of the two anyway. p.s. I am really tired of the lessers part of the story! Haha nice it was meant to be! I haven’t started reading these yet, so I couldn’t tell ya. 😀 But the only series that I read that is more than 10 books in is the Rachel Morgan series by Kim Harrison. The series is going to end with the next book (#13), and as much as I hate to see the series end, I think Kim is doing a good thing by going out on top instead of running the series into the ground. I agree. I’d rather less books, then have an author tank one of my favourite series. It must be tough to make the call to “end it though. I don’t mind going back and revisiting characters (as long as it’s well told) and I enjoyed the Wrath/Beth portions of THE KING. My problems with the last couple of BDB books is there is just SO many storylines and introducing new characters that aren’t even really interacting with the Brothers. I would be completely fine if all of that was cut…in fact it would probably up my enjoyment level. I don’t have any issues with introducing new characters to further a series, but they don’t need a whole quarter or third of the current book to act as an intro. Give me a glimpse into them…a teaser…and I’m on board. As for my favorite brothers? Well I have to say I’m a Rhage girl and even though he’s not an actual Brother…Lassiter. Why? They sh!t they say! They never fail to make me smile and laugh when they’re on page. And I would have to say that my biggest complaint with the more recent BDB books is that we’re not spending very much time with the Brothers we’ve grown to love over the course of the series. Their bond and the hell they give each other has always been one of the best parts of the series and anymore it seems like we get about one scene with them all. I miss my boys! I’m not sure for how much longer Ward can keep calling new installments part of the BDB series when they keep featuring less and less bro time. It’s misleading and frustrating. Perhaps it’s time for a spin off? I can’t say anything about this particular series because I haven’t read it but I personally hate filler books. There really shouldn’t be filler in books unless it’s helping along the plot or tying in which character development. But I’m not a fan of long series anyway, I get bored after the third book, ha! I don’t mind long series just so long as they are consistent. When the quality starts going down the drain I lose interest quickly. I haven’t read too far into this series and I do want to continue. So, I’m not the one to answer these questions, but I can say that Zsadist is probably my fave so far and would love to read more about that couple. Z is awesome, and seems to be a clear favourite! I really, really liked The King and I don’t consider it to be ‘filler’ or a ‘buffer’ at all. It took me 2 days to read it and I worked both of those days. Then, I waited a until the weekend and reread it. (I do that will all the BDB books and it is the only series I do that with). I don’t think people should lower their expectations but maybe what they are expecting needs to change. If readers only expect the standard romance storyline which is what we got in the first 3 books, they will definitely be disappointed. I don’t consider the BDB to be a PNR anymore. It’s developed into more of an urban fantasy. To me, this change began most likely with Lover Unbound with a good portion of the book focused on Phury. While some people don’t like the multiple storylines, I enjoy them a lot and the world JR had built and continues to develop. No author can write a book to meet the fans expectations because we probably all expect different things. I personally don’t need to read updates on all the couples. I know they’re around. Providing updates for their sake alone would be filler which I don’t want or need. And plenty of authors don’t update on prior couples. Lara Adrian doesn’t in the Midnight Breed books. Can you image how long Sherrilyn Kenyon’s books would be if she provided updates on all the past couples? I don’t have a favourite brother, but I do have a fav book – Lover Awakened. Sometimes in a long running series there are bridge books where the author is growing a character or moving the plot in another direction. I think sometimes as the series grows it evolves and some don’t like change.I just bought book one of this series, so I have no idea and can see from comments all fans love series/author but disagree on it being buffer. To be honest, I stopped this series a couple books back. I do want to get back to it but the last book I read disappointed me so much I am scared. It’s hard when series last this long because it’s rare than an author can keep the momentum the whole time. I think our expectation are not high, we should expect nothing but the best from our fav authors. We may not always get it but it’s up to us to be okay with that or take action. I am with Jennifer here, Carmel. I stopped the series a couple of books back because I lost interest. BDB started a way back and at the time was “the sh*t”, but it’s an outdated concept now and it should have been wrapped up while it was still really good. I might be having a slight grudge against very long series here 🙂 but I’d rather the author started something else in the same world than continue with the same set of characters without any excitement or inspiration. Thanks for raising a great topic! I have read some of the books in this series before: Rhage’s, Zsadist’s, Vishous’s. I don’t remember anything (well, some of it I do, but it’s very little) and so I decided to start reading them in the right order. Just finished Wrath’s book and seriously? I’m tired of the Omega, Mr. X etc POV-s already and you’re telling me that it cotinues still? Mehh. Me does not like. One couple I won’t ever get enough of is Zsatist and Bella so I’m all for one more book for them. I’m sorry the latest installment was a DNF for you 🙁 I hope that if you do continue with the series, you’ll adore the heck out of the future books. Great discussion, Carmel! What an interesting post! I haven’t read this series yet but I do hope to one day soon. I am not a fan of filler books and am sad to hear this latest release wasn’t up to scratch for you. I am looking forward to your review though! I admit that I loved the earlier BDB series books and I was always a fan of V, and Butch and JM. I think that books were better in the beginning , but with too many POV’s and more characters that I had to stop. I enjoyed the bromance with the brothers. I would like to author to continue to do awesome writing still, she owes it to the fans. I’m hoping that Lover at Last won’t be the final high point in this series, but time will tell I guess. I have to admit that I was disappointed first time I heard that she is going back to the story about characters that already have their own book. I am prepared for inevitable disappointment with the rest of the books – because, really, what more is there to tell? If this goes into the direction I think it will go, series should change the name to BoB. I still haven’t read King, I don’t have so much free time lately, but I do plan to read it soon, Hell, I’ll read all the following books despite the rant – BDB is one of the rare series I didn’t give up on. I was just thinking that myself; Ward is going to have to change the name of this series soon. But yeah, I hear ya, the BDB is going to be damned near impossible to quit. I’m still at Lover Reborn, and I started reading it I think twice and somehow didn’t end it. I’m not sure why or what’s going on with my love of the series, I think I’m just taking my time since I have Lover at Last and have that to look forward to. But then after I read these 2 , I’m kind of scared of where the series might be going. That’s the problem with long-lasting kind of series that we love, there might come a time when the love dwindles away, and maybe there’s even heartbreak at the end of the line there. Sigh. I’m terrified things might get there, so I’m prolonging the “still into it, not as in love with it” state of things I guess. I’ve only read the first couple of books, but I keep meaning to try the others some time. Filler books are never fun, though, and I think they get particularly annoying when the series is a long one. I feel that way a bit about the last Chicagoland Vampires book, I still haven’t finished it yet.